totally dig the fairy house! MMMMMMMMM Blueberries in your back yard - lucky!!! The dead one looks like a bleeding heart??? I don't know. Going to check out the actions. . .
Oooh I LOVE the new header!! Nice Winter shots...sorry to hear about the sickies...hope everyone is feeling better soon! First off, love your new header, which I'm sure is from items you have made. It is lovely! 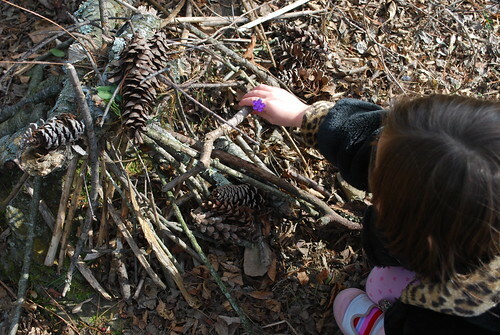 Second, I love Harper's fairy house and how she is attending to it. So cute! Even SOOC these shots look great. I LOVE seeing those tulips sprouting up! I love the new blog header! Your SOOC shots are wonderful. Hope everyone's feeling better. SOOC gorgeousness! And ooooh, I'm and totally diggin' the new header too! It is fantastic! Super duper SOOC Jen! I LOVE the tulips shot....It so reads "new life" to me. What a great new header. The colors are so refreshing! I looove the tulips popping up! I just love tulips. AWesome sooc shots. Love the new header, too! Beautiful captures of nature! Thanks for sharing! love the fairy house! 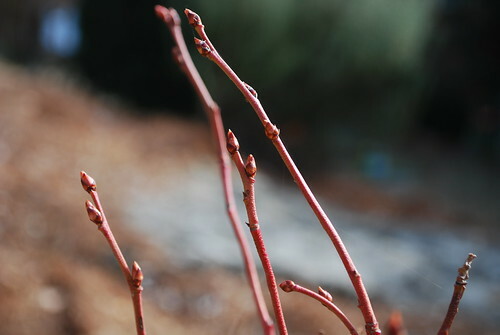 we don't have anything budding around here yet but I am looking forward to it! 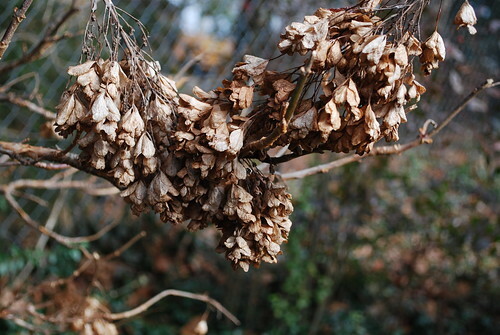 Those dead leaves are in the shape of a heart! Would have worked for Love Thursday too!! Love your new header...it's perfect! It's not fair - you have too much talent in one body! No wonder people like me can't do a thing. 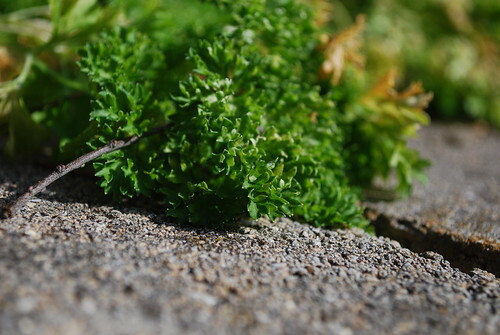 Not only do you take THE MOST gorgeous photos but you garden as well!?! Wow! Thanks for the gorgeous photos. I saw my Iris coming up the other day- so it is too soon. We still have frost to come and a few major snow storms. 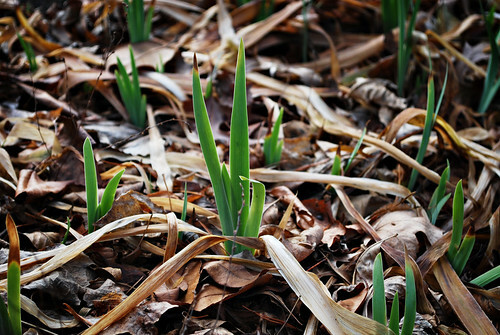 The sprouting iris look awesome -- what a great "spring is coming" shot! Love the first one especially--that light is divine!